Transmission shift kits (usually just referred to as shift kits) are designed to help the performance of your transmission, especially while shifting gears. There are shift kits for manual transmissions, but they are most marketable, and sold most, for automatic transmissions. That’s because stock automatic transmissions shift much more slowly than manual transmissions, and there is usually a lag when shifting between two gears. As there is more to improve in automatic transmissions, shift kits are almost essential if you want to do any performance driving (i.e. racing) with an auto shift. Otherwise, the advantage manual transmissions have will just be too much to overcome. There are several different kinds of shift kits for different drivers. If you just want something to make your everyday driving better and to improve the life of your transmission, it’s recommended that you get a plate separator. If you get one with good instructions, you’ll be able to install it yourself fairly easily, as it should come with all of the parts you need. This will improve your transmission life by reducing the overlap of your gears and subsequently reducing the heat and friction applied to your clutch and band lining. If your aim is to drastically improve the speed and overall performance of your car, your best bet is to buy a high performance kit. These kits will speed your transmission drastically, but they’ll also increase the wear and tear on your transmission, and they’ll be less smooth when shifting. In other words, they’re definitely only for people who are going to be doing some serious racing, and are prepared to spend a lot of money doing so. Otherwise, a high performance street kit is just going to cost much more than it’s actually worth. In order to understand exactly what shift kits do, it’s important to understand how automatic transmissions work to begin with. Auto makers want their cars to run as smoothly as possible – having a smooth transmission makes a car feel better. The technology they use to achieve this is called overlap. 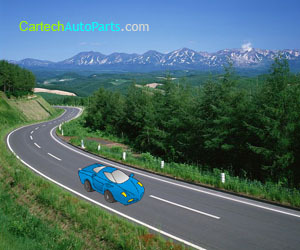 In essence, whenever you shift gears, your transmission actually runs both gears at the same time, for a short period. For example, when you’re at the top of second gear and your transmission starts shifting to third, it stays in second for a short amount of time so that the car can keep moving. This keeps your car moving fairly well when it shifts gears. Ironically, while this is meant to make the car feel smoother, faster and more durable, it accomplishes the exact opposite of these things. The overlap actually increases the stress on the transmission (as it’s running two gears at the same time) by adding more heat and friction to the process, which especially stressful on the clutch and the band lining. Also, it really slows down the speed of the car, because the overlap slows down the actual process of shifting by a lot. Shift kits aim to rectify this by reducing overlap and speeding up the shifting process. Whether a shift kit is worth it to you depends on whether you plan on racing, plain and simple. Even a basic plate separator for your transmission will just make shifting less comfortable, and it won’t delay any degradation on your transmission for that long – that is, not enough to be worth the price and labor time. But if you’re trying to race with an automatic shift, it’s really a requirement that you get one, or you simply won’t be able to compete with drivers who have manual transmissions. Shift kits might well be the single most important part for automatic transmissions.